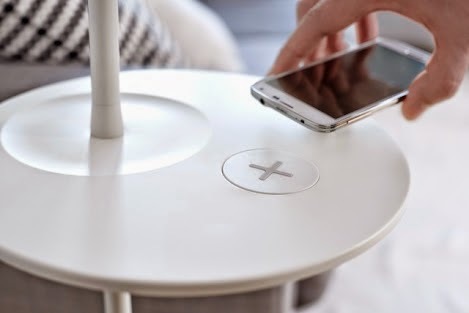 London : Swedish firm Ikea has launched a range of futuristic furniture that can wirelessly charge your Smartphones and Tablets. With this launches Ikea has become the first in the UK to launch a revolutionary range of furniture with built-in wireless charging spots. The collection is called HOMESMART, and it hides wireless charging pads into everyday objects, eliminating the spaghetti wiring that plagues all too many homes. Coffee tables, desk lamps, and even floor lamps feature Qi pads, so there's no need to fumble for the end of a cable, just pop your phone down and start juicing up. Bjorn Block, who is the range manager of Ikea said, "People hate cable mess in the home and they are worried about not finding the charger. That was our starting points and we wanted to make things easier."